But if they keep the home cooler, they tend to have smaller waistlines. Exposure to the cold activates thermogenesis by which brown fat cells produce heat in the body. Brown fat cells help us burn more calories and speed up weight loss. 1,103 participants with an average age of 72 were included in this study. All subject spent their time at home during the day and 47% of them were men. Their abdominal, or waist, circumference was measured in October and in April each year from 2010 to 2014. Measurement of waist circumference provides information about the distribution of body fat and is a useful tool to predict the early risk of conditions such as heart disease and diabetes. The participants’ indoor home temperature was also measured every 10 minutes for a 48 hour period during the daytime. Then, based on their average home temperature, they were divided into four groups. Their results showed that 64 of these subjects whose home temperature was kept at 50°F or lower (10°C or lower) had an average waistline of 32 inches (81.3 cm). In comparison, 164 participants using the highest indoor temperature (68°F or higher/20°C or higher), had an average waistline of 33.4 inches (84.9 cm). The differences is 1.4 inches, which is significant, according to the study. The research team took into account factors such as total calorie intake, physical activity, socioeconomic status, gender and age. The U.S. National Institutes of Health suggests that waist measurement is a good indicator of increased health risk. 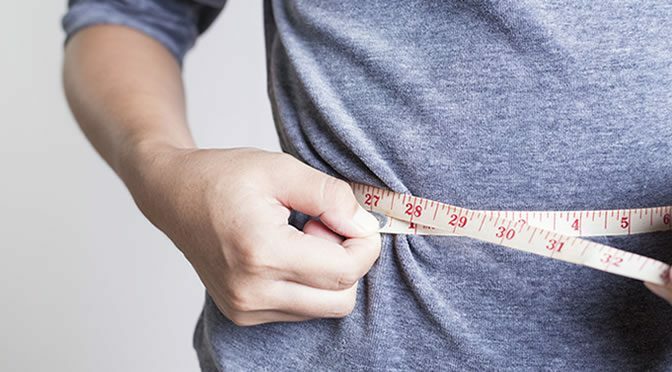 For example, women with waist circumference more than 35 inches (88 cm) and men with more than 40 inches (102 cm) waistline are at the greater health risk. The study was presented at the Endocrine Society’s 98th annual meeting in Boston.